Leafy Ashgrove is one of Brisbane's more desirable suburbs. Only 5 km or so north-west of the CBD, it contains lots of beautiful Queenslanders (houses, not people; although I hasten to add that the people are probably beautiful too!) along its tree-lined avenues. 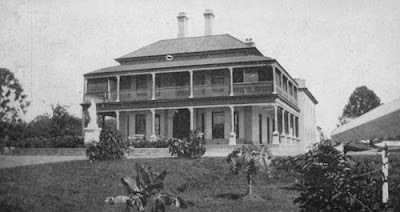 Alexander Stewart, an early settler near Enoggera Creek which flows through the suburb, had quite a remarkable house built on his property. It seems that the residence was probably designed by architect James Cowlishaw around 1876, although Cowlishaw's involvement is not absolutely certain. 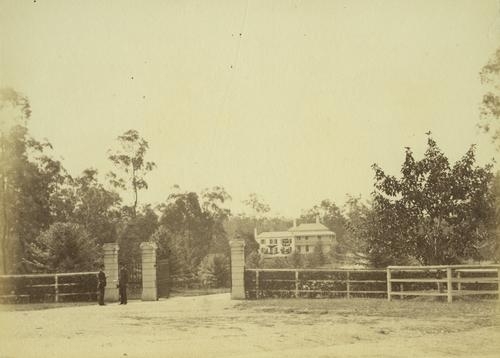 Here is the house, pictured on Stewart's 100 hectare estate in 1890. The property was named Glen Lyon, after Stewart's Scottish birthplace. Stewart, a prominent businessman, passed away in 1918 and Glen Lyon was sold. The property was sectioned off into housing blocks to be sold to the public. The grand house and the gardens were snapped up by the Catholic church. They rented it to the Marist Fathers who used it as their monastery. After renting for a couple of years, they bought the house in 1930. The following picture dates from 1931. The next photo shows the original billiard room that was converted to a chapel. The house was sold by the Marists in 2003, and I believe that it is now in private hands. 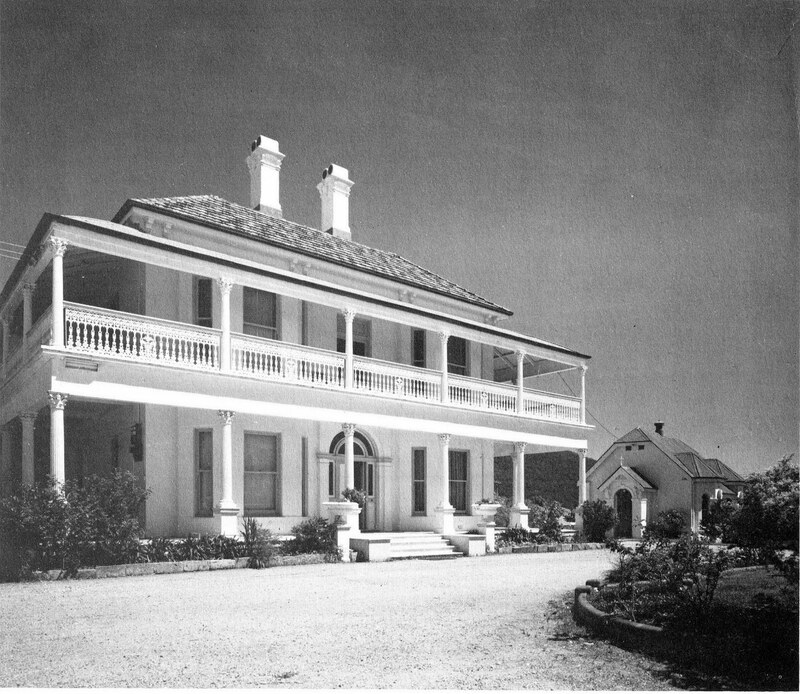 My photograph below shows the residence now, photographed from the same aspect as the top photo. The smaller building to the left of the house was probably the original servants' quarters. I love this house! I drive past it regularly! The Marist brothers had a gorgeous chapel at the back of the house where I attended a wedding once! I think it's sad that they sold it but the new owners seem to have kept it intact. You should do a post on the white building at the school proper. Another iconic building in the area. Thanks for the post. Interesting as always! Yes, I know the school chapel and I agree that it is beautiful. A post is a distinct possibility. Great to see it's still around.